﻿ Pallets garden furniture ideas, free building plans for chairs of pallet wood. 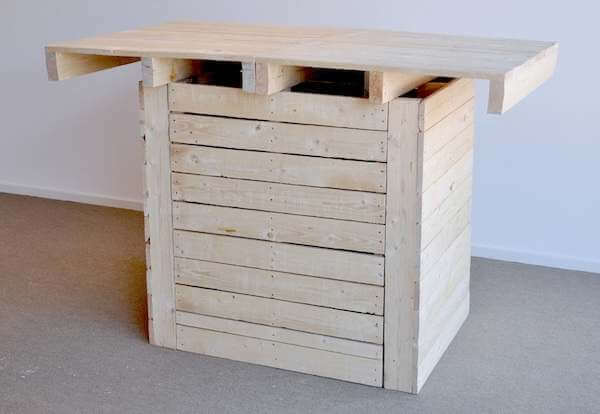 Make your own furniture from pallets. 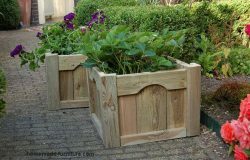 Super easy examples made with recycled pallet wood. Homemade chairs, beds and benches, garden tables and planters. Pallets garden furniture ideas, free building plans for chairs of pallet wood. Inspiration to make your own furniture. Make your own tables and chairs with repuporposed pallets. First of all, please note that we are still working on translation. 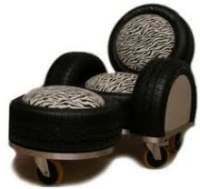 This counts for our drawings as well as for the woodworking plans. More drawings for homemade furniture are added in short time. All original plans and drawings with automatic translation originate on our Dutch website with diy ideas. 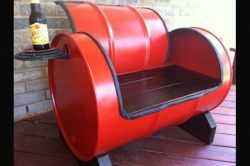 See some nice ideas to make benches and chairs from repurposed wood. Learn how to construct a shed and swings for in the garden. Free plans for homemade pallet furniture. 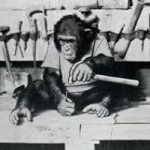 Some very easy plans how to make your own furniture. Pallets are the cheapest material for homemade outdoor furniture. Check which wood conservation products they used if you going to use the planks inside your house. Breaker tool for dismantling pallets. 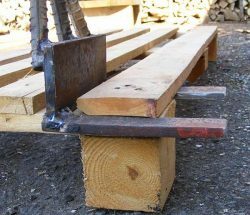 Remove planks from pallets without effort with a breaker tool. Make your own pallet breaker from metal. Steel is the only material that is strong enough to resist continuous stress. 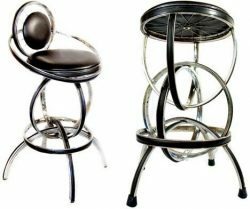 The stiffness of metal is also preferable above the bending qualities of wood. 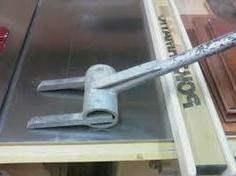 Therefore all pallet breakers must be made from strong metal. 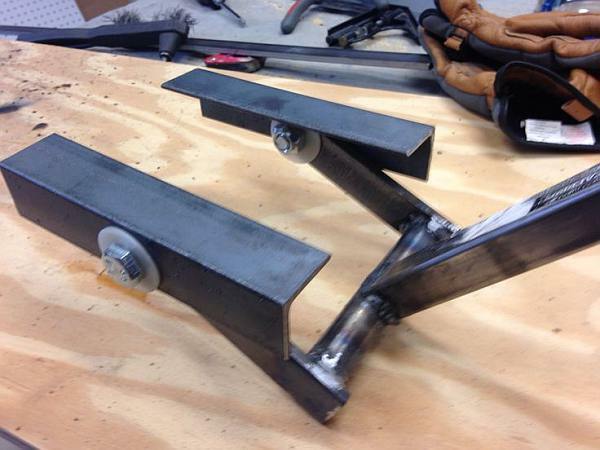 Whether you use a welder or nut and bolts to make this tool is up to you. On the other hand it must be said that nevertheless most palletbreakers are welded. Pallets as construction timber for home made furniture. Make your own furniture with reclaimed wood from pallets. How to make a pallet chair. 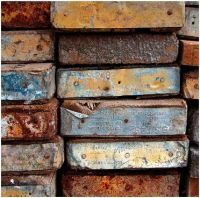 For most construction plans you will first of all have to break the pallets to seperate planks and blocks. On the other hand there are also many furniture examples which are made for whole pallets. 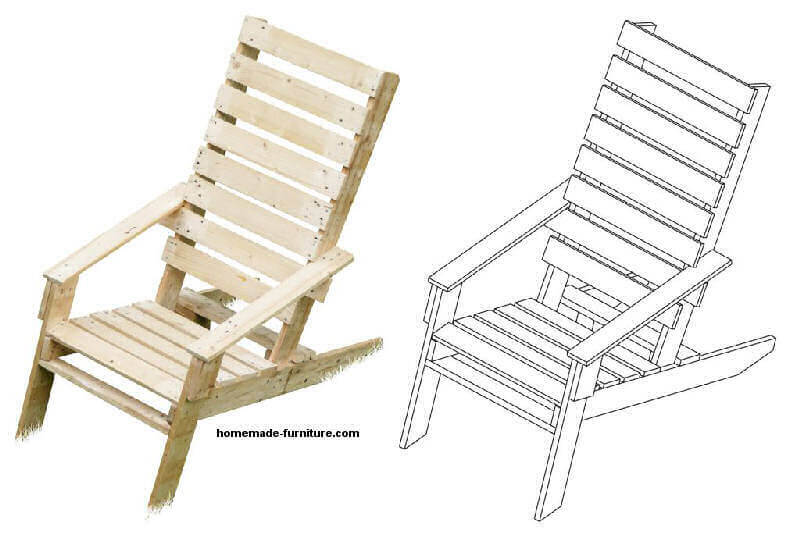 Drawings for pallets that do not have to be dismantled are mainly used for outdoor furniture. 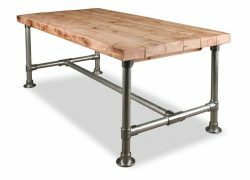 This timber from pallets is quite rough, and therefore most people opt to give the planks a good planing with the sanding machine. Bear in mind that this lumber is only half as strong as scaffolding boards. Cooler table with ice bucket in the tabletop. Examples for a table with integrated cooler – ice bucket. 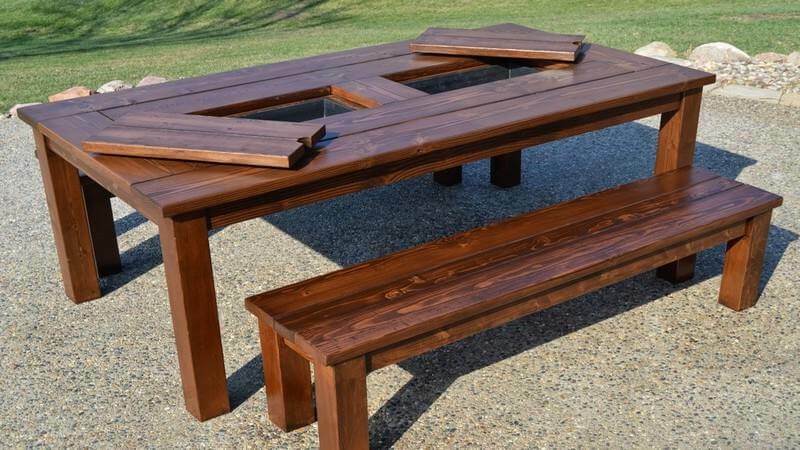 Cool ideas to make a garden table. Keep your drinks cool and close at hand. Integrate a bucket in the tabletop and fill with ice, it’s as simple as that. Alternatively you could, instead of a cooler with ice, place plant pots in the tabletop bucket. In that manner you can have herbs and vegetables growing straight on your garden table. 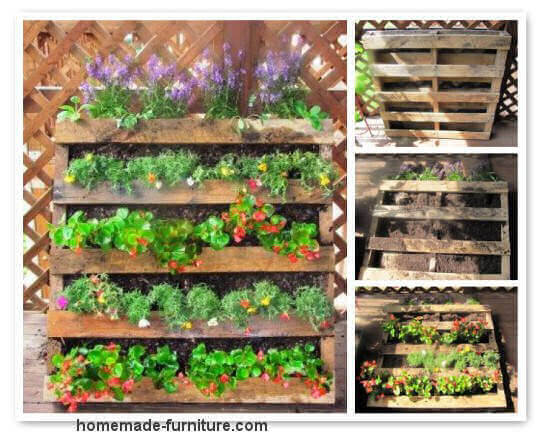 Vertical garden design with pallets and reclaimed planks. 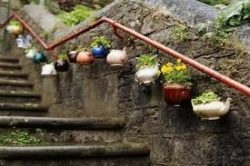 Examples of homemade living wall planters. Repurposed pallets as a vertical garden divider. Pallet chair examples and free diy plans. 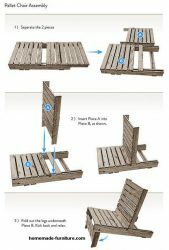 How to make a pallet chair in three steps. This is probably the easiest pallet chair to make yourself. You will only need one pallet and some selftapping screws. Homemade furniture examples and free plans for woodworking. 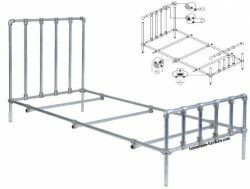 Free instructions and plans for homemade furniture. 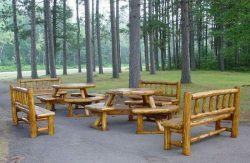 Farmhouse picnic table and wooden benches. 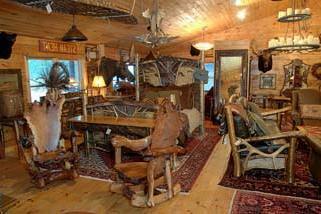 Woodworking plans and do it yourself instructions for homemade furniture. Most drawings were derived from a popular Dutch do it yourself site. 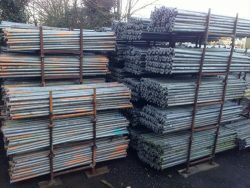 Please have a look at the original building plans for scaffolding furniture. On that website is a lot more content. Meanwhile we will translate all manuals to English. 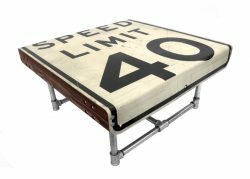 Creative ways to repurpose scaffolding planks and pallets. 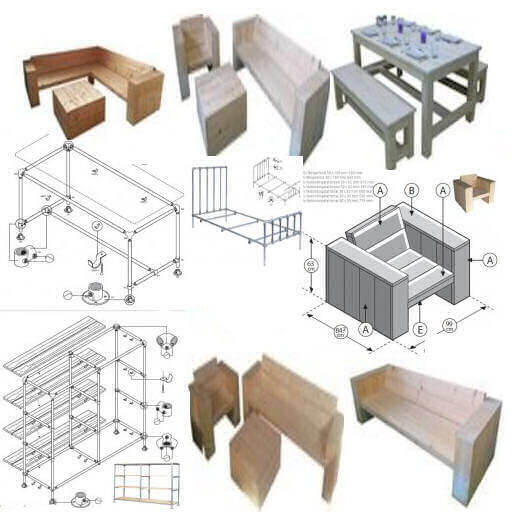 We have compiled many construction plans for the recycling of wood and metal.